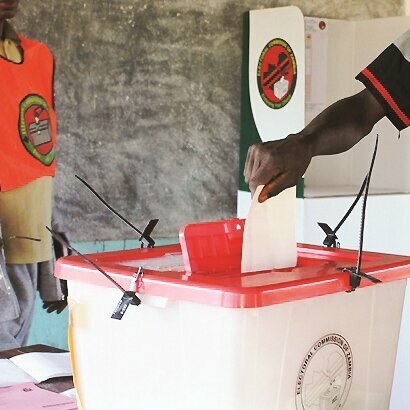 THE Democratic Governance and Human Rights Advocates (DEGHA) has chastised the opposition political parties for campaigning against the referendum, saying they do not respect the rights of the Zambian people. In a statement yesterday, DEGHA president Gerald Mutelo said that past governments had failed to hold a referendum on the Bill of Rights and that when President-elect Edgar Lungu fulfilled this task the opposition campaigned against the process. Mr Mutelo said that it was disappointing that the opposition political parties had campaigned against the referendum process, stating that it was proof that they did not care or respect the rights of citizens. He said that this was a lost opportunity by the nation, wondering how a country would develop if it did not have sufficient rights for its citizens. 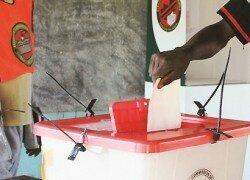 “It is disappointing that some political parties had politicised the referendum by campaigning against it and now that it has failed we congratulate them because Zambians know that they do not respect the rights of the Zambian people. ‘‘This is very bad, we have lost an opportunity as a nation to have civil and political rights, economic, social, cultural and environmental rights, solidarity rights. At global level there are three types of human rights as mentioned above. In Zambia we only have the civil and political rights. ‘‘How can the nation develop when rights of its people are not enshrined in the Constitution?’’ he wondered. He said Civil Society Organisations (CSO’s), trade unions and the church had advocated for the inclusion of economic, social and environmental and cultural rights among other progressive clauses. Mr Mutelo said that if the Bill of Rights had succeeded it would have been part of the 2016 amended Constitution but that now the 1996 amended Constitution on the Bill of Rights would continue.